Miguel Gomes' trilogy of films inspired by the One Thousand and One Nights tales. Despite the woe-is-me tone of the exposition, Gomes manages to elegantly tear down the moral wall between the ravishingly beautiful and the socially responsible - and of all the remarkable things that the Arabian Nights trilogy accomplishes, this may be the most remarkable of all. In 1974, Pier Paolo Pasolini made a lusty film adaptation of Arabian Nights, the 12th century collection of Middle Eastern fables, as part of his Trilogy of Life. About 40 years later, Portuguese auteur Miguel Gomes (best known for his luxuriant 2012 film, Tabu) draws on Arabian Nights heavily for his own sort of trilogy of life. 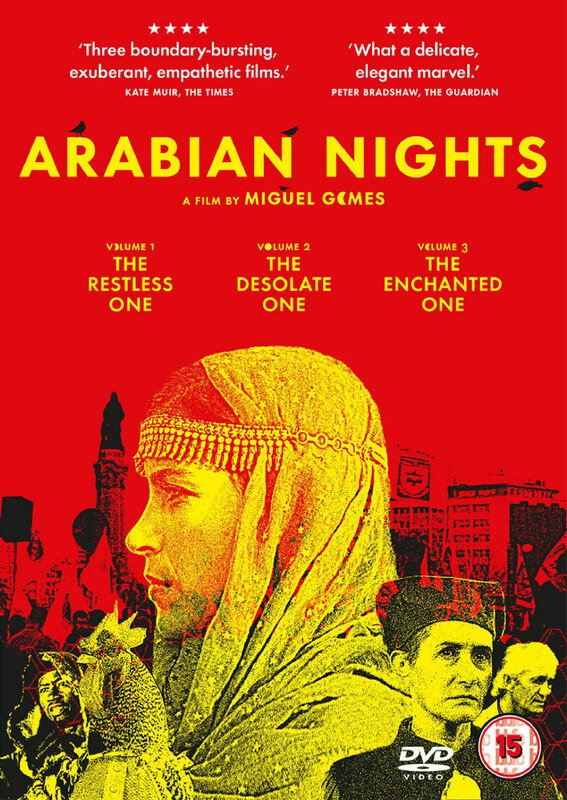 The companion films Arabian Nights: Volume 1 – The Restless One, Arabian Nights: Volume 2 – The Desolate One, and Arabian Nights: Volume 3 – The Enchanted One blend reality and fantasy, the present and the past. Ultimately, the Arabian Nights are sprawling generous works, brimming with both wondrous sadness and documentary discipline. In a fanciful development, Gomes is fictitiously threatened by his film crew after having “deserted” them. To delay his execution (à la Scheherazade in the Arabian Nights), Gomes launches into a string of tales that explicitly seeks to recount adverse effects of austerity measures inflicted by the Portuguese government on its people. Whether the initially stated anxieties are the views of Gomes himself or Gomes as his own character, the director brilliantly realises the very film he claims to be un-makeable. (This makes his preliminary pessimism an irritating sort of “humblebrag”; I wish he’d handled the tone of his explication with the same grace on display in the rest of the film, but this is a small complaint). The ensuing tales alternate hypnotically between the “wonderful and seductive” and ones that follow Portugal’s “current miserable situation.” A tale from The Enchanted One details more or less realistically a subculture of workers who trap finches, train them to sing, and have them compete; a tale from The Desolate One, called The Tears of the Judge, chronicles a trial in which an escalating surreal parade of defendants go before a judge, each charged with various forms of petty theft or bureaucratic obstructionism. In the most touchingly romantic episode of the film, Scheherazade herself (a luminous Crista Alfaiate, playing multiple roles) traverses time and space, fatigued by the responsibility of telling so many stories. Gomes is generally effective in the way he juxtaposes his episodes. For example, the sunny and strange Scheherazade story immediately precedes the straightforward accounts of the finch collectors. In switching modes so consistently, Gomes not only encourages viewers to actively think about the motivations behind his juxtaposition, but also manages to keep the films relatively breathy and surprising. And, as an extra bit of fun amid much political seriousness, certain characters from previous episodes go on to have winking cameos in later ones. In providing such a straightforward thesis at the outset of the trilogy, Gomes risks trapping his films in an ideological box, but the Arabian Nights are too happily anarchic to let that happen. Amid all surreal lyricism and studied minutiae of Portuguese life, Gomes uses his initial dilemma to unearth a crucial link between aesthetics and social awareness. The film promotes the idea that there are humanitarian issues at stake in Portugal, but that there’s no way of knowing the nature of these issues without stories—stories that are like cells of the organism of the overarching political issue. And there can be no story without a storyteller—a conduit who will deliver a story in his or her own style, no matter how flowery or how spare. In the tale from The Restless One, we hear three stories of people struggling with unemployment, and it feels like something out of a Loach film; in The Tears of the Judge, the wacky stories the defendants tell have the loaded comedic unreality of Buñuel’s The Phantom of Liberty (1974). But what both of these extremes show is that there is no political or economic problem to address or even identify without a dense network of stories, stories, stories. This is how, despite the woe-is-me tone of the exposition, Gomes manages to elegantly tear down the moral wall between the ravishingly beautiful and the socially responsible—and of all the remarkable things that the Arabian Nights trilogy accomplishes, this may be the most remarkable of all. In its politicism, the Arabian Nights seem to share Pasolini’s admiration for working class individuals who are accustomed to an artisanal society that struggles to adapt to a globalised economy. This doesn’t only apply to people: PETA may have given an award to Jon Favreau’s new adaptation of The Jungle Book, but they certainly should have also recognised the quiet dignity that Gomes gives to a socially aware rooster, and a victimised cow, and a universally beloved dog. The animals of Arabian Nights belong to an agrarian mindset, relics of an age from before austerity was a mode of international economic policing. In this sense, the Arabian Nights trilogy derives much of its emotional punch from the dignity it sees as inherent to all kinds of life and to its aching nostalgia for a disappearing way of doing things. In many respects, the Arabian Nights trilogy feels like the kind of political film you admire instead of enjoy. Gomes is a director with a very sleepy style, and when he gets too indulgent with his heavy-lidded musings, sleepy can suddenly turn into slow. After about 40 neorealist minutes dedicated to finch trappers, Gomes changes stories—only to tiresomely return to the finches 15 minutes later. 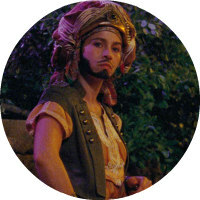 Still, these endurance tests are inextricable from the qualities that make the Arabian Nights so valuable. And as much as the trilogy can be admired, it has the potential to be admired even more. The films explicitly draw from both literary traditions and current events, and the boldness of their structure and style indicates specific thematic intentions on Gomes’ part. One day, I’d like to see a definitively annotated version of the Arabian Nights to better understand and appreciate the specific connections that must exist between contemporary political life and antiquity literature. Until then, we can content ourselves with the mysterious qualities of Gomes’ finely wrought, finely felt tales from his homeland. 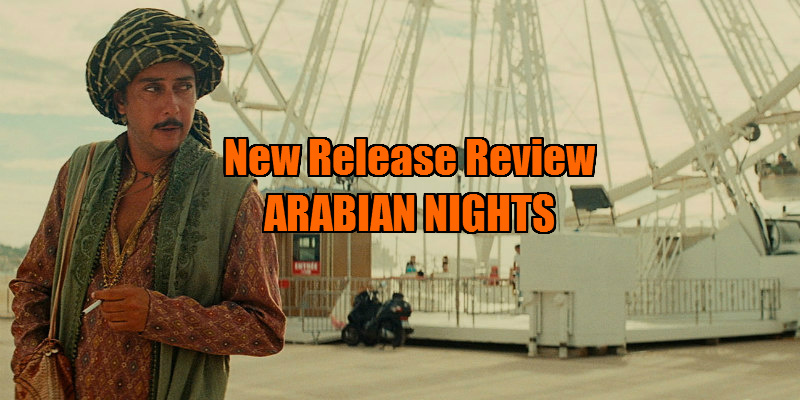 Arabian Nights is on DVD August 22nd.